I hear from readers quite frequently with similar questions about the word "meal" on their dog food label. According to Wikipedia and AAFCO (American Association of Feed Control Officials), a meal is an ingredient which has been ground or otherwise reduced in particle size. That definition works for some folks, but others ask the next obvious question: What do they include in the meal? Edible meals include clean, dry animal flesh and skin--sometimes bone. I hate to get too graphic, but I want to be clear. The process starts with whole carcasses of animal, but there are no heads, feet, entrails or feathers included. Once the meal is made, the nutritional value changes dramatically. Protein in a chicken meal, for example, is condensed to 65% with only 10% water, resulting in a healthy ingredient for Fido. So why am I telling you all this? Look at your dog food's ingredient label. You'll often see a Chicken Meal (beef, lamb, etc) ingredient in the first 3 items listed. The purpose of this is to amplify the protein content of the food, especially when a fresh meat is included first. You see, fresh meat includes such a large amount of liquid that the actual nutritional value is limited by this water content. That said, if your pet food label includes a fresh (or frozen) meat on the ingredient list, it needs to include a meal to supplement the nutrition. Water is heavy, yet adds little to the healthfulness of the recipe. Since food is sold by weight, water changes nutritional readings dramatically, when present. The well-respected Whole Dog Journal recommends that your dog food include a specific meal (Chicken Meal, not meat meal, for example) if the ingredient list starts with a fresh meat. This criteria is included as one of their "Hallmarks of Quality". Food for thought! 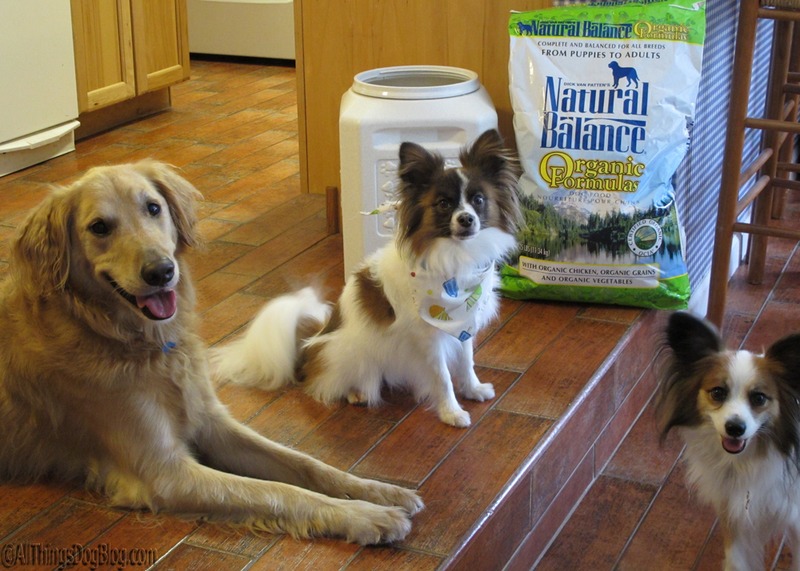 As an NBInsider I strive to bring you helpful information about your pet food and information and news about Natural Balance products. Read my recent article on How to Choose a Dog Treat here. Wow! Thank you for this post today!!! I always wondered what EXACTLY meal meant. I always thought it was a bad thing! Thank you! @Dawn: The other reason that "Meat Meal" is an undesirable ingredient on the list is that the source is unknown: what kind of meat? If your pet has any type of meat allergy, a Meat Meal would leave room for concern.